Creative Movement Therapy Association of India (CMTAI) was founded as an umbrella organisation to grow and professionalise the field of Creative/ Dance Movement Therapy in India. It was the dream culmination of a few individuals who believed in the power of this medium to address the lack of resources towards mental, physical and emotional wellness in India. 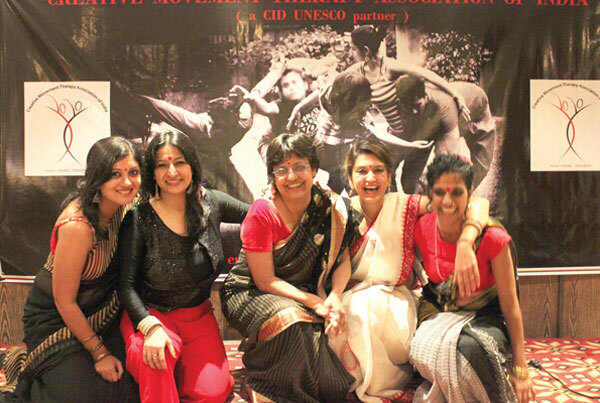 With the premise that dance movement therapy has the potential to create large scale impact, they started an organisation to serve as a professional body for training, professionalisation, accreditation, knowledge sharing, advocacy and collaboration in the field of DMT and peripherally other creative arts therapies in India. We focus on training and capacity-building for existing and potential practitioners in the field who may be working with marginalized communities and addressing the social issues in the country. Founded in 2014, CMTAI is a not-for-profit organization, legally registered under Section 8 (formerly Section 25) of the Companies Act. CMTAI is a member of Conseil International de la Danse (CID, Paris) and the American Dance Therapy Association (ADTA). To strengthen the ecosystem of Creative Movement Therapy in India by building awareness of the field, serving as a resource for practitioners, and instilling professional and ethical standards of practice. To promote the interests, education, research and benefits of creative/ dance movement therapy to all segments of society. We respect each individual’s movement expression, give space for exploration and celebrate their innate potential and diversity. To serve as a platform for knowledge-sharing, practice and networking through our annual international conference, creative exchange, workshops, collaborative projects and training programs. To value continuous innovation and turn our ideas into creative solutions for implementation in the field. To provide services and expertise of the finest standards, following and inculcating an ethical code of conduct into our training group and upholding the best practices in the field. To uphold a high level of excellence, integrity, transparency and honesty in our work, processes and training.